The competition was HOT at our Chili Cook-Off/ Pledge Drive Kickoff Sunday, March 18th but three emerged victoriously. Winners of the Tree of Life Unitarian Universalist Congregation in McHenry Chile Cook-off. 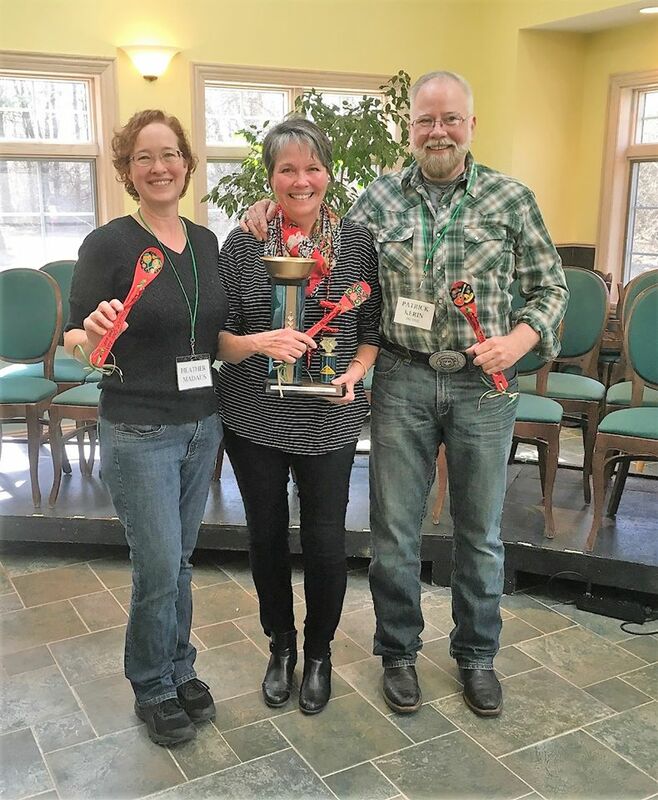 From left to right Heather Madaus, mild; Karen Meyers, vegetarian and the trophy for most votes overall; and Patrick Kerin, hot. The Cook-off was the kick-off to the congregation’s annual Pledge Drive. It also raised over $400 for the Woodstock Community Ministry’s Direct Assistance Program, a long time church social service partner. We will be collecting pledges from our dedicated members and friends for the next couple weeks. On Saturday, April 21st we will celebrate that dedication with a catered dinner and entertainment.